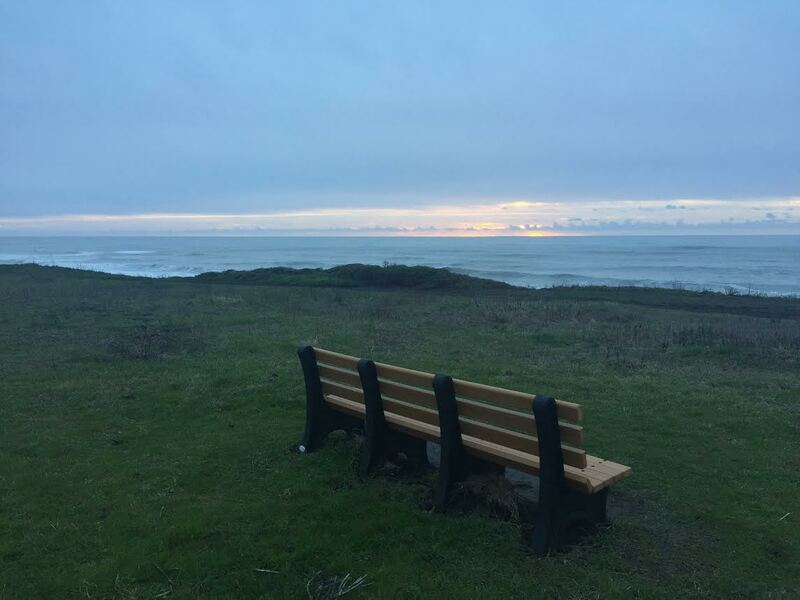 Half Moon Bay Hike Overview: Half Moon Bay is a beautiful maritime community in San Manteo County. Just a half hour drive south of San Francisco, this Northern California coastal city is a beautiful backdrop for hikers all experiences. In particular, The Ritz Carlton coast side trail provides a formal, yet rugged introduction to this picturesque region. 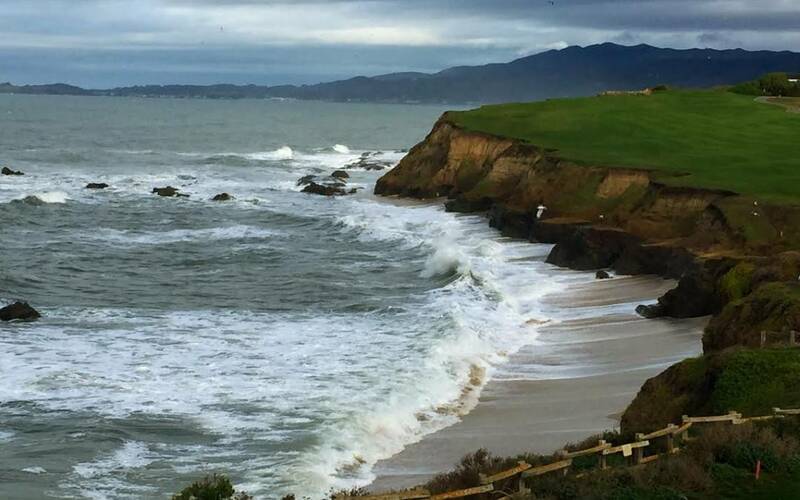 This trail features a paved walkway that borders Half Moon Bay’s only 5 Star hotel and the adjuacent links of the Half Moon Bay Golf. Don’t let the area’s prestige intimidate you, the trail is open to the public and there are free parking areas to accommodate all hikers. However, you may have to watch out for a golf ball or two while you walk along the course. 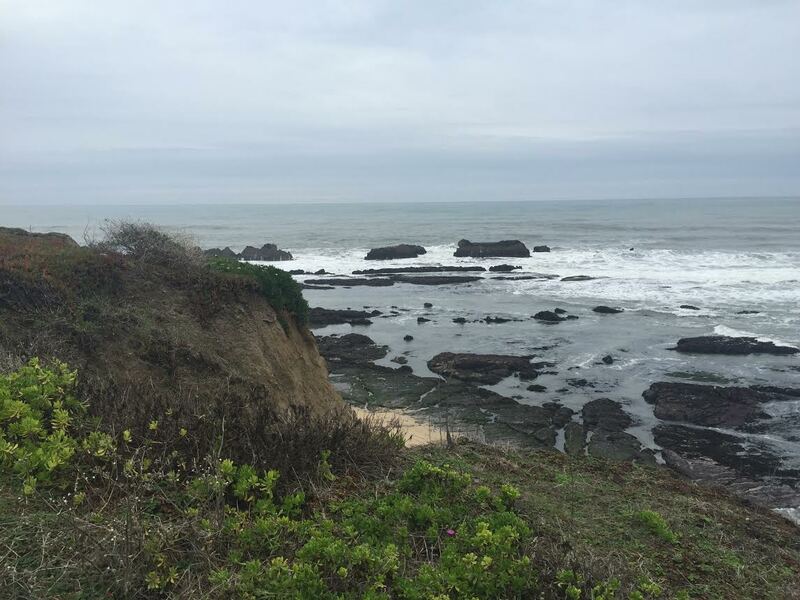 On clear days, hikers may be able to even see Mavericks, the famous Big Wave surfing spot, off in the horizon. 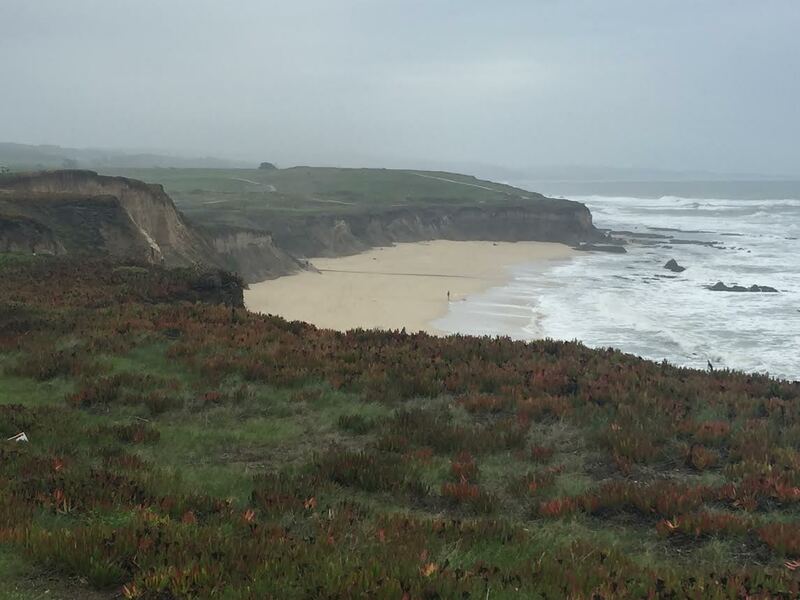 Half Moon Bay HIke Estimated Time: .5 – 3 Hours. If you decide to venture down to the beach and explore the trails, you can extend your time on this beautiful ocean trail. Half Moon Bay Hike Total Distance: 1 – 4 Miles. 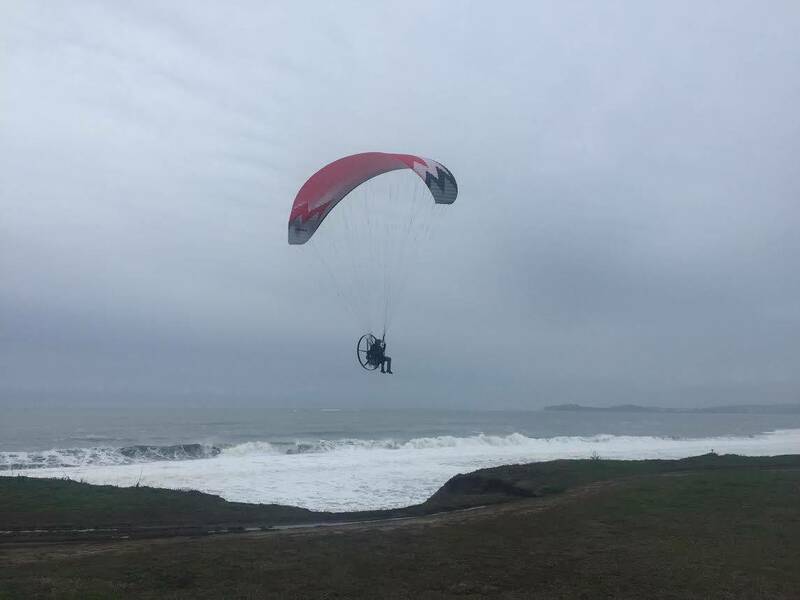 Summer, Spring, Fall: It’s possible to enjoy this Half Moon bay year round, however rain and cold weather may limit your experience in the winter months. The summer months attract more visitors and hikers. Barry-the-Bear: The was a fun hike and easy way to explore the beach without getting sand on my feet! 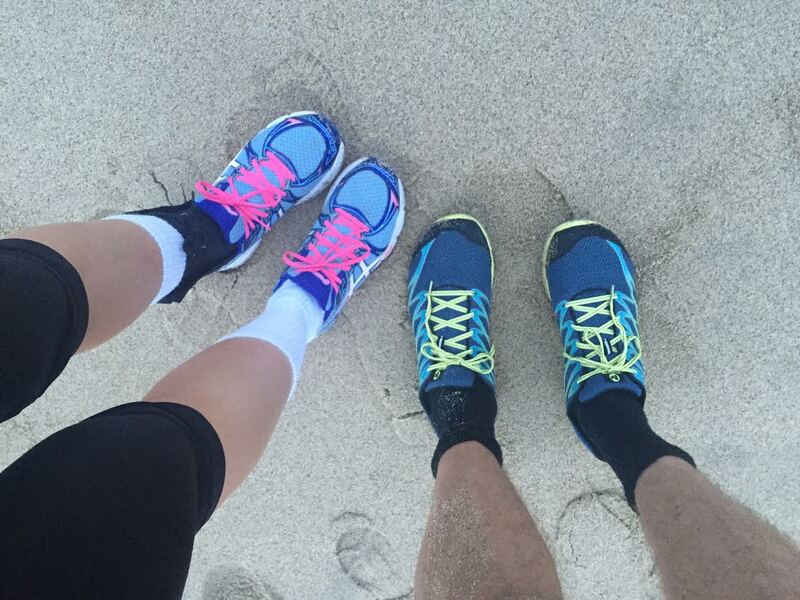 Larry-the-Lion: The Ritz Carlton coast side trail is a fun trail to explore with a date or significant other. 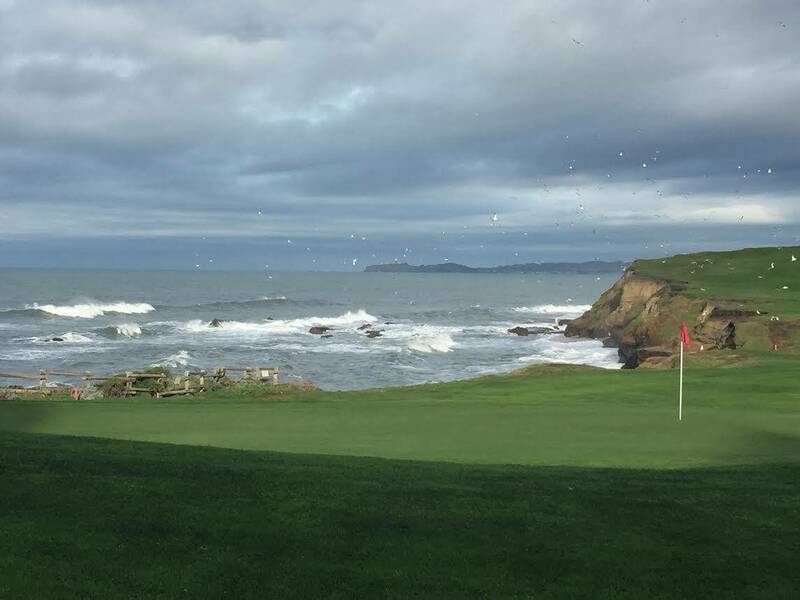 If you are feeling adventurous or thirsty, you can grab your favorite beverage of choice at Mullins Bar & Grill at the entrance of the Half Moon Bay Links Course. 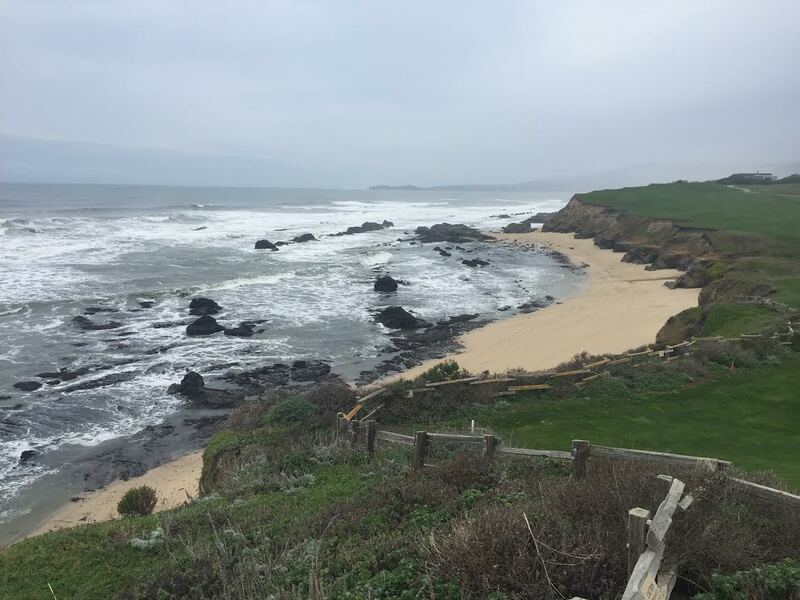 Chris-the-Cheetah: As I felt extremely energized after staying at the neighboring and beautiful Half Moon Bay Lodge, I decided to add a few extra miles and ran from the lodge’s entrance over to this Half Moon Bay hiking trail. Overall, I really enjoyed how the trail featured coastal views of the ocean, beach and golf links. Additionally, I followed to the trail down the beach and enjoyed running on the sand. It was soft at the time, which gave a great workout for my calves! 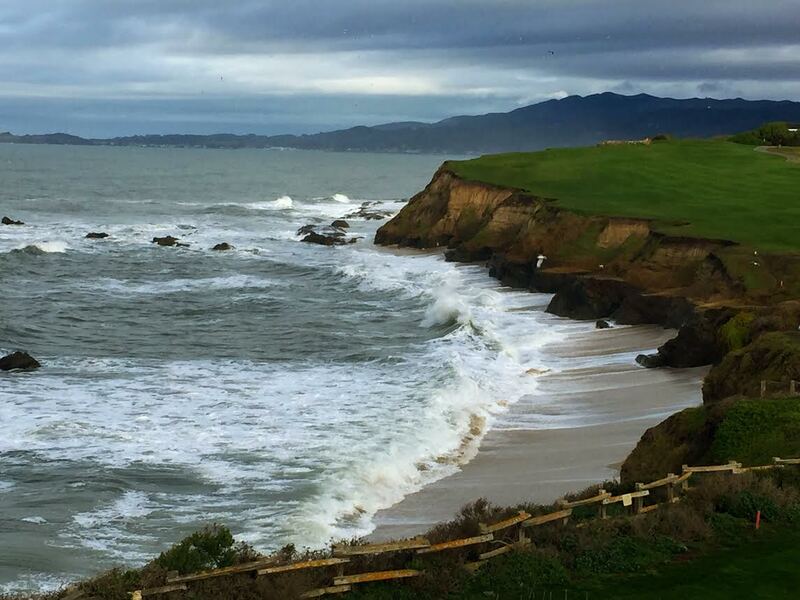 Half Moon Bay is a beautiful backdrop for individuals or couples searching to breakaway from the hustle and bustle of suburban life. The charming town features several small, family run businesses and there are charming boutique hotels, such as the Half Moon Bay Lodge, to enjoy. 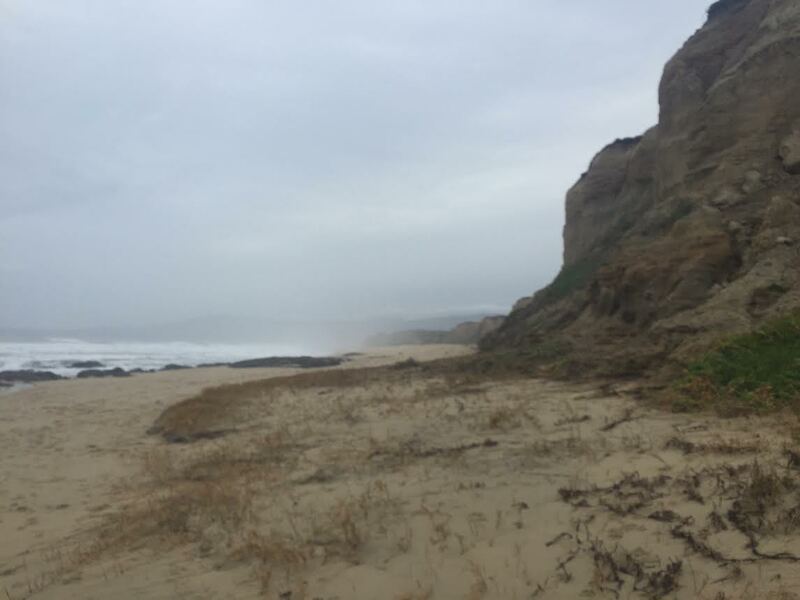 In particular, this hiking trail was the PERFECT introduction to the region and provided beautiful hiltop ocean views as well as the opportunity to walk on the beach and explore the tidepools and sand areas. 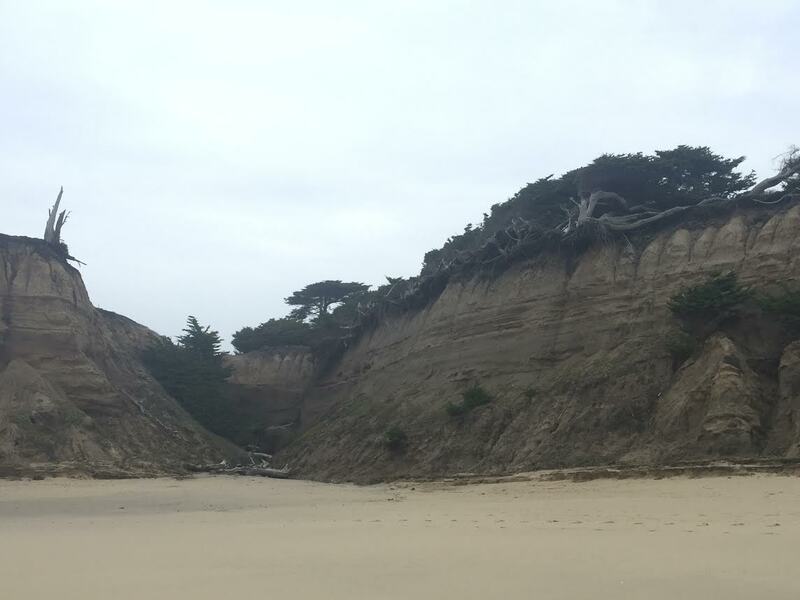 Have you hiked in Half Moon Bay? Leave a comment and share your tips!